Corporate attorney-turned-artist Nathan Sawaya, who was born in Washington, is known for his meticulously built works of art made entirely of Lego bricks. 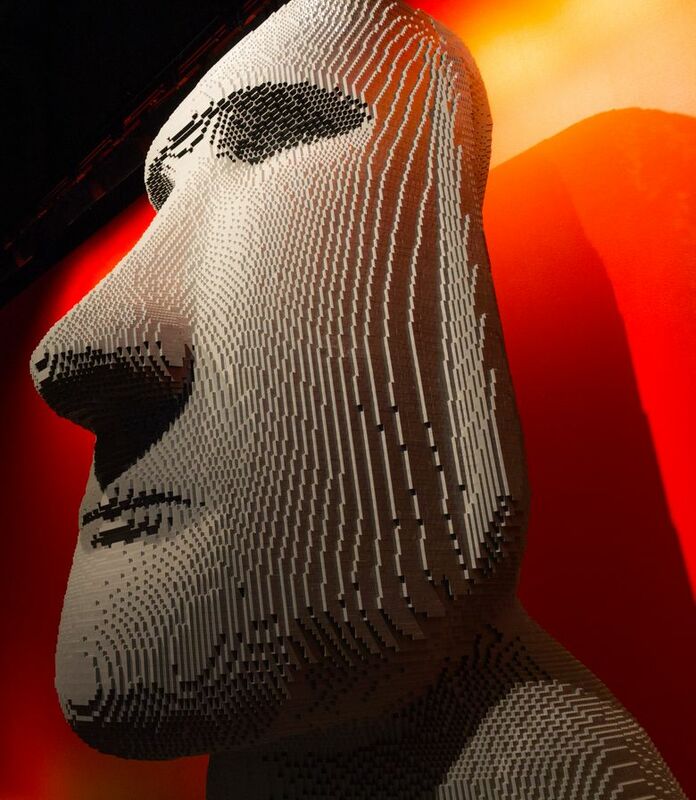 His show “Art of the Brick” is at Pacific Science Center through Sept. 11. 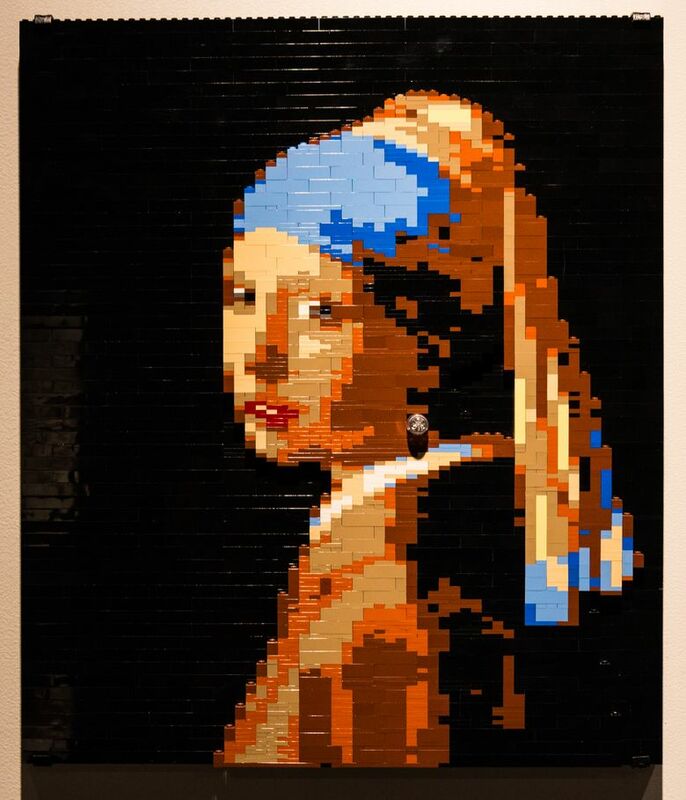 Lego artist Nathan Sawaya maintains a stock of 5 million Lego bricks in his Los Angeles studio. At a cost of six figures a year, it’s hard to understand how someone could need or use that many of the toy bricks. But after visiting Sawaya’s exhibition, “Art of the Brick,” at the Pacific Science Center through Sept. 11, it starts to make sense. Some of his meticulously built pieces require 75,000 bricks or more. The exhibit includes more than 120 works — some entirely original pieces, others interpretations of famous works, like a Lego “Starry Night,” for example, and a section of Lego-infused photography, a multimedia project with photographer Dean West. 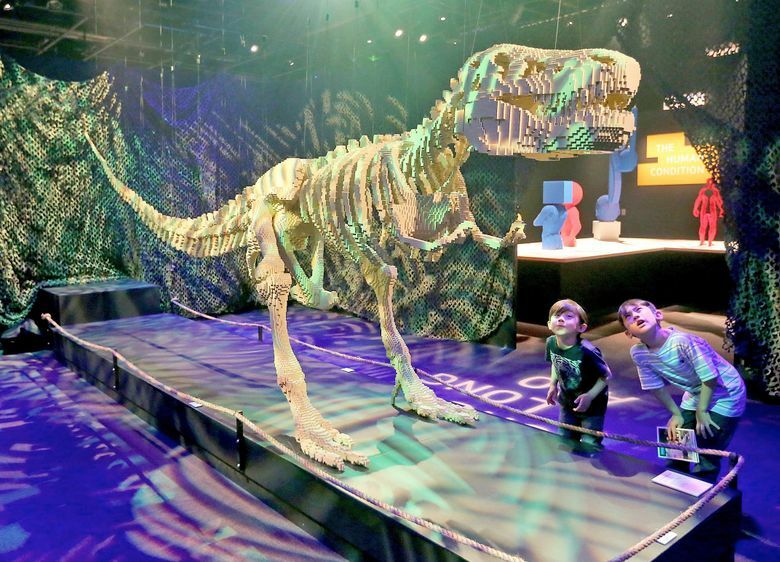 10 a.m.-5 p.m. Mondays-Fridays, 10 a.m.-6 p.m. Saturdays-Sundays and holidays, through Sept. 11, Pacific Science Center, Seattle Center; $20.75-$28.75 (206-443-2001 or pacificsciencecenter.org). One piece, “Be Different,” made up of several Lego salmon with one multicolored salmon swimming the opposite direction, was made just for Seattle and will remain here after the exhibit ends. 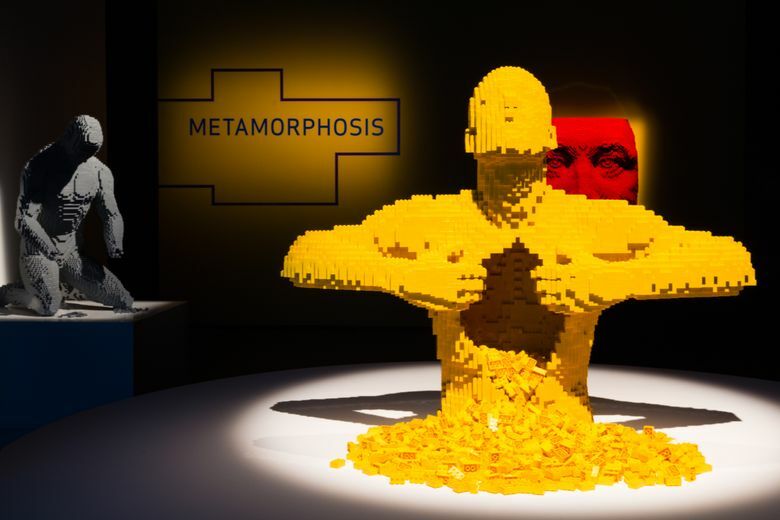 His most famous piece, “Yellow,” a brick-constructed take on the human form, is also on display. Sawaya, who was born in Colville, Stevens County, and raised in Oregon, left his job as a corporate lawyer more than a decade ago to become a full-time Lego artist, a decision that left many of his friends and family members scratching their heads. But he definitely had the last laugh. He has had exhibit openings across the globe, worked with Lady Gaga, won countless awards and recently gave the commencement address at his alma mater, New York University. His message to the graduating seniors: In life, you don’t have to follow the instructions. Sawaya said that was kind of an aha! moment for him. Sawaya’s been messing around with Legos for decades. He even kept a stash under his dorm-room bed. It just took him some time to break free of societal pressures and enter the art world. Now that he has, he wants people to feel connected to his art, which he says happens frequently because of the medium.